Comments:Nice but ding in one transformer can. 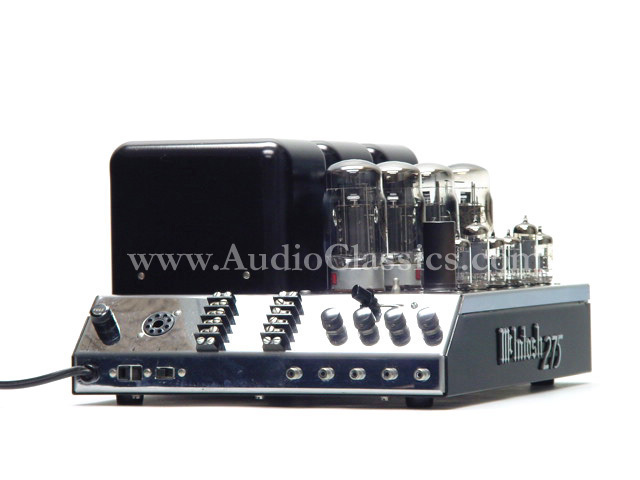 RE MC352 : This is one awesome amp!! Just what the B&W 801's needed to make them sound off. I am now using it for the low end with the MC275 driving the mid/highs.Just finished listening to Beethoven's Emperor piano concerto. The sound was fantastic, probably the best rendition I have heard. A.G., AR. Thanks so much for the "275". I knew it was right the first 15 seconds I turned it on. I'm ordering a rubber stamp with "THANKS" engraved on it. If I wrote thanks to you all the times you deserve, my hand would ache. Not good for a Tennis Pro.H.B., CA.